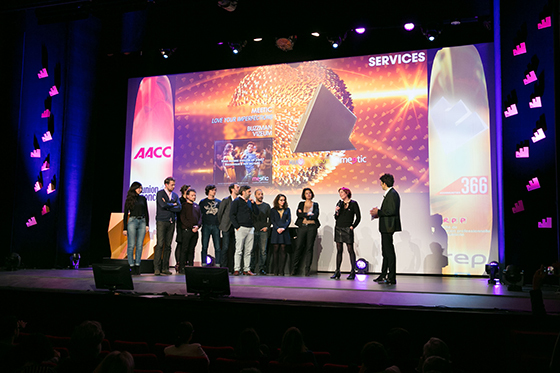 This year’s Effie Awards France Gala was organized by L’Association des Agencies-Conseils en Communication (AACC) and L’Union des Annonceurs (UDA). The Gala was held on November 23 at the Théâtre de Paris. There were thirty campaigns awarded for their measurable and proven advertising effectiveness. Each winner illustrates the major contribution of communications to overall business results. The Grand Effie went to the “Life is a beautiful sport” campaign from Lacoste, BETC, and Havas Media. Additionally, there were 10 Gold Effies, 11 Silver Effies, and 9 Bronze Effies presented at the Gala. This year marked the 22nd edition of the Effie Awards France competition. The jury, led by Ipsos Chairman & CEO Didier Truchot, was made up of representatives of agencies, advertisers, as well as media and marketing professionals. The trophies were presented by BFMTV’s Thomas Misrachi. The Gala was an animated event attended by over eight hundred communications professionals. Case studies for the nine Gold Effie-winning campaigns can be found here.